I was at home for the holidays when I had a pretty big confrontation with my older brother, whose college binge drinking has progressively worsened. I’m a sophomore this year and he’s a graduating senior, although we attend different universities (his on the west coast). We’ve been reasonably close throughout our childhood, but things began to change when he arrived at college. I don’t want to blame his fraternity for everything, but there’s no doubt that his relationship with our family and even his non-fraternity friends has been consistently undermined by his apparent obligations to that brotherhood. 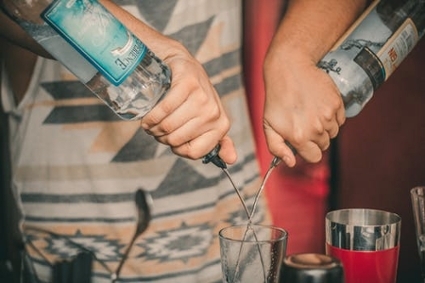 The fraternity brothers host parties three or four times a week, which is a terrible environment for a senior preparing to graduate and enter the real world. My parents are obviously disappointed, but we’re struggling with how to approach him. He’s extremely caustic when anyone confronts him about his alcohol consumption. What’s the best way to intervene? This is a certainly a tough situation but know that you aren’t alone. Substance abuse and/or dependence is a global issue. Experts at the Centers for Disease Control and Prevention (CDC) reported that 17% of American adults admitted to binge drinking and another 6% admitted to heavy drinking. That’s a significant fraction of the adult population and some researchers anticipate some degree of inconsistency due to underreporting. You should embark on your quest by exploring the nuanced differences between Alcohol Use Disorder (AUD) and alcoholism more generally. Outsiders often confuse and conflate the two, which can have disastrous results. Also be aware the alcohol consumption in young adults varies considerably from other age groups. That’s crucial to remember, because you’d like to avoid blurring the lines between what he’s doing and what his peers are doing. Researchers at the National Institutes of Health (NIH) published an insightful study focused exclusively on young adult drinking. The findings are fairly remarkable, albeit disconcerting. As you might imagine, both AUD and alcoholism are linked to increased mortality and a whole slew of other avoidable detriments (e.g., vehicular fatalities, overdose, theft, domestic violence, etc.). It’s possible that your family has already experienced some of the observed items. Take note of those things for later. Another important step is investigating how the two conditions are directly impacting California. While having national data and trends on hand will be necessary for the overarching discussion, it’s the local community that tends to resonate with people. It’s plausible that he might try finding a career there, which means you’ll want options relevant to him. A candid discussion might convince him to entertain a few ideas. It might be easiest to first suggest helpful online resources that you’ve already reviewed. Those activities are relatively low-barrier, and they let the individual wade into things gradually. You might next propose that he visits Orange County Rehab or a similar recovery center conveniently located near his residence. You should carefully consider anything you might suggest. And don’t be afraid to tap into your parents and extended family if necessary.